Rather large, it is my intent to replace the MrMo ABS and add my own add-ons along with additional enhancements all built in. 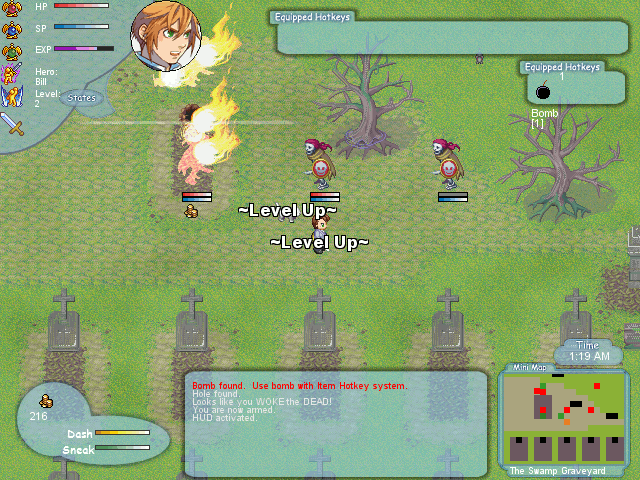 One kickin' ABS with explosive missiles, be it from a firearm, a spell or a thrown item. Even boomerangs and spreadshot. 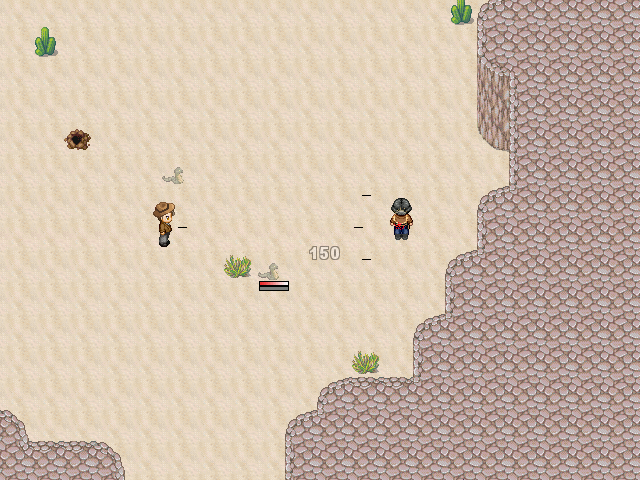 Companions that follow you and can be controlled by either keyboard or a custom dialog system. 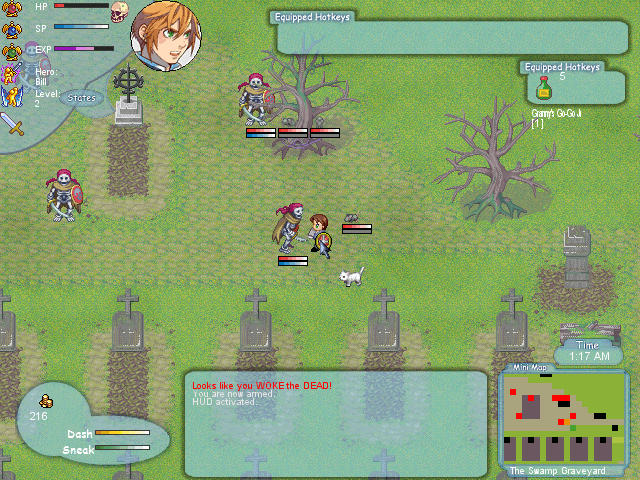 Limit companion responses and make pets. Actual Map-Wrap! Not many ABSs have an actual built-in map wrapping system. Pixelmovement for the lead actor character! All other events are still tile-based event controlled. 8-Directional! 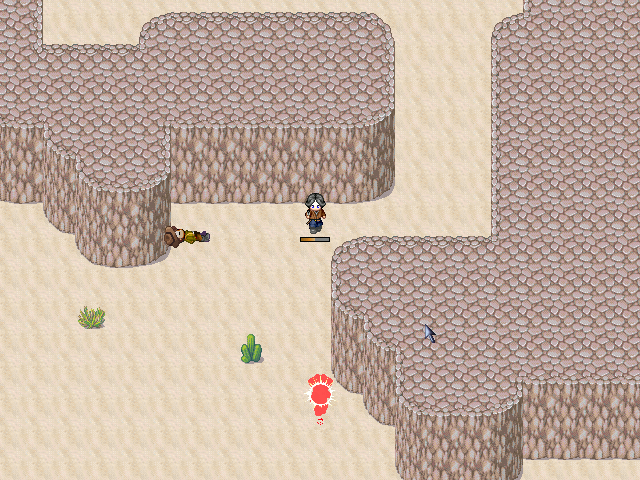 And if using pixelmovement, the diagonals are adjusted. Three config pages, subdivided into general, weapons and stuff, and companions... for designers convenience. Meh. I tried to have it ready FOR halloween, not after. Enjoy the ride. An RPGMaker XP script. Compatability with other systems not tested. In the help file and in the demo itself. Free for use, even in commercial games. Music courtesy of Charles Bernstein for Story 1. Music by Ennio Morricone for Story 2. First, I added a small command called cutscene_enabled that allows you to turn off the ABS system, deactivate the sneak and dash systems, and disabled the player from jumping all in one shot. Likewise, you can use it to turn all four systems back on too. But secondly, a minor rewrite to the RPG::Sprite system was done which allows this ABS system to function within the same project as Charlie Fleed's Final Fantasy-like CTB v 3.2. I cannot say that this system will work with every battlesystem, with or without any aid. I do know it does not functionwith Cogwheel's RTAB system, but it does function just fine with Charlie Fleed's. There maybe an issue between a single common event in his demo and the use of pixelmovement, but that is all. Actually, I am using the new v 1.04 editor and package since I had the HD crash. Thankfully, the new guys who hold the license for distribution had my eMail on file so the upgrade (after losing my old paid copy) was a freebie. That usually solves the issue with different versions. 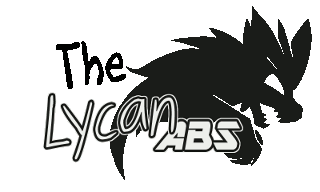 I've been working on a new system that co-exists with The Lycan ABS, but while working on it I did some additional cleanup and a few bug fixes here and there. First off, I reworked the three classes: Game_Character, Game_Player and Sprite_Character and, for lack of a better explanation, I SDK-ed them. I replaced and rewrote the update methods with those from the RMXP SDK and tweaked them out for the ABS. On the plus side, you still do NOT need the RMXP SDK as MrMo's ABS did. Also, it makes it easier to write new methods and attach them to my system. After that, I did a little touch-up to both the DASH and SNEAK systems. A little bit of streamlining. Not much. But cleaner code. And I discovered and fixed a strange anomaly where enemies set to use the default view range system built into the ABS (and not use Near Fantastica's View Range script) would be able to attack and HIT the player regardless of distance. The player could be 10 tiles away from an enemy and it said he was right next to the target! Wierdness.... but repaired. Oh, and I did add more aesthetic content to the demo, be it more work on the credits, ambient sound effects here and there, and instructions from NPCs while you talk to them. Remember: I'm using RMXP v 1.04e, the newest version. If using an earlier version, just replace the Game.Exe in my demo and alter the Game.Ini to use your older .dll under the 'Library' heading. Is this compatible with any of the Mode7,ISO, or FPLE systems? It is currently not compatible with HMode7. I have looked into compatability with HMode7 with older ABSs and made headway, however HMode7 as it is 'currently released' has issues with on-map battle animations. I know a solution was found for that issue (talked to MGC) but that was for preliminary work. Hey, ya like that I already looked into it, aren't ya. A little more in the works BTW. The animation modification is really cool, it would allow for some nifty effects and speedy gameplay. Plus this is one hell of an ABS, well done buddy.